Much awaited Windows Vista has just been officially gone gold with RTM (released to manufacturing) release few days ago, but the full binaries of the Windows Vista final version has been leaked and distributed through BT (BitTorrent) P2P (peer-to-peer) networks by various crack groups such as XiSO, FTSiSo, ZWTiSO and CYGiSO. The final RTM version of Windows Vista has build 6000.16386.061101-2205, a manual change by Microsoft that marks Windows Vista is Windows Version 6.0.6000 Build 6000. 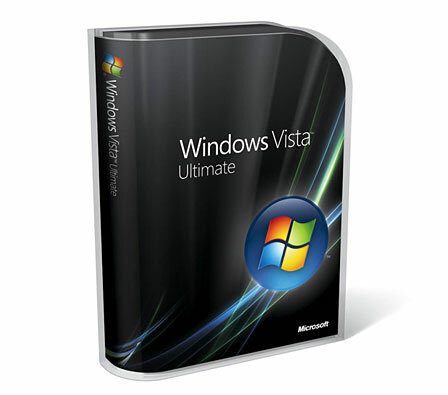 The Windows Vista is full install DVD version that contains all editions of Windows Vista, including Windows Vista Ultimate. The Windows Vista editions that are included are English 32-bit x86 Windows Vista Starter, Home Basic or Basic N (without Windows Media Player and other media files for certain countries), Home Premium, Business or Business N and Ultimate edition. However, no activation is possible yet as likely the activation servers are not working yet to activate the Windows Vista. And although the Windows Vista downloaded from the torrent contains a registration key, but it’s not working as the key is actually for CPP release of Windows Vista, and not RTM. However, Windows Vista can be installed without a product key or CD key. Without supplying the RTM product key (Beta or RC product key issued to CPP users won’t work as it’s using original PID algorithm which Microsoft changed after RC2), Windows Vista will install as a trial, with users have 30 days from day of installation to activate the Windows Vista. So you can use the Windows Vista at least for 30 days, and hope for a working crack or activation bypass hack to appear within this time period. To download Windows Vista RTM final release with build 6000.16386.061101-2205, download any BitTorrent client such as BitComet, uTorrent or Azureus, and then download the Microsoft.Windows.Vista.Final-BillGates.3555203.TPB.torrent BT torrent (2.49GB), or Microsoft.Windows.Vista.Ultimate.iNTERNAL.DVD-ZWTiSO torrent (3.47GB), or Microsoft.Windows.Vista.Ultimate.Edition.2006-CYGiSO torrent (3.47GB), or Windows.Vista.Enterprise.REAL.READNFO-XiSO torrent (3.46 GB), Microsoft.Windows.Vista.Enterprise.Plus.Bonus.Disc-ACiDTEAM torrent (3.59 GB), or Windows.Vista.Enterprise.Edition.PROPER-FTSiSo torrent (3.46 GB). The torrent should automatically open withitn the BT client and start the downloading process. Windows Vista can be downloaded from eDonkey or eMule network (ed2k) too. Some of the download files may be Windows Vista Enterprise edition with Bonus Disc. After downloaded Windows Vista Full DVD set, extract or uncompress the files to retrieve the DVD image, and burn the image file to DVD. Trick: Extend Windows Vista activation grace period timeout. MSDN or TechNet Plus subscribers can also download legal full DVD version of Windows Vista (both x86 and x64 OS code) available in and Office 2007 System (available in English, Japanese and German languages) together with genuine and valid product key. Microsoft Connect beta testers who filed at least one bug report also get the free Windows Vista as appreciation gift from Microsoft. Connect beta testers can download x86 and x64 on choice of Vista Ultimate or Business. MSDN version of en_windows_vista_x86_dvd_X12-34293.iso ISO-9660 DVD image download from MSDN has been leaked to BitTorrent network. Download the Windows+Vista+RTM+Build+6000+x86+(MSDN).torrent. Microsoft has also launched Power Together marketing campaign to promote Windows Vista and 2007 Office Systems, and will give away free licenses of Vista Business and Office Professional 2007. Get and receive your free legitimate and genuine copy of Windows Vista from Microsoft. Disclaimer: This article is for information purpose only.